Right, let’s get the ‘odd’ negative out of the way first. Liverpool have won the last 7 home matches against Newcastle, scoring 19 and conceding only 2. We haven’t won at Anfield in 17 league matches, the scousers winning 15 of them. Liverpool have scored in every one of those 17 clashes and have scored 3 goals in each of the last 5 matches. In 6 of the last 8 matches when Gerrard has started against Newcastle, he has scored. All you have to do now is clear your mind, condemn these daft meaningless statistics to history. Let’s hope the players have done the same. 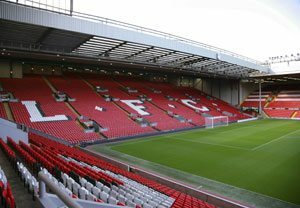 The reality is that in 2012, Liverpool have only won 3 home Premier League matches and haven’t won back to back home league games since September 2011. They crept past Reading 1-0 in their last Premier League match, so to beat us they would need to do something they haven’t done in over a year. A dismal defeat at home to Swansea midweek in the League Cup will hardly have improved the mood of anybody at Anfield and just so long as Newcastle do nothing daft (like getting sent off and suspended for this match…who mentioned Tiote?) then surely the match is there to be won. It is a really bizarre record United have in these fixtures because in the long years since the 2-0 win in 1994, it isn’t as though the red half of Merseyside have dominated English football, with Manchester United, Arsenal and Chelsea dividing it up between them until Manchester City came along. Plus of course Newcast;le have been no mugs for something like half that time, whether it was the Keegan and Robson teams, or indeed last season under Alan Pardew. Maybe this is where hopefully players like Ba, Coloccini, Ben Arfa, Cisse, Cabaye and Santon can approach it as just another match, without all the baggage we have built up over the years. There is no doubt they still have quality players such as their central defenders and Suarez, while Sterling looks a great prospect and Gerrard can still do it when fully fit but…you wouldn’t swap our best eleven for theirs would you? Seeing Ba on the pitch would be a major boost after his goals this season and Alan Pardew has spoken more positively as the week has progressed, with regard to him being fit to play. The manager preferred Shola to Cisse against West Brom and in a limited way you could say it worked as Shola got an assist for Ba’s goal and produced an exquisite cross that Demba should have converted as well. 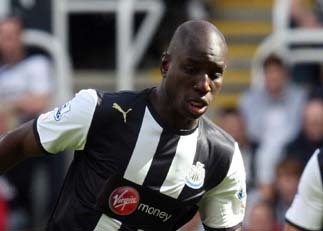 However, Shola never looks like scoring himself and Cisse has pushed his claims with the comedy winner in that last league match. At least Alan Pardew does have some options even though the suspended Tiote will be a massive loss. The manager could elect to bring Taylor back for Williamson, whilst in midfield and up front he doesn’t necessarily have an embarrassment of riches but he does have a little in reserve. If he’s fit then you would assume Demba will play through the middle and Pardew could play Cisse and Ba as a front two as he did to decent effect in the second half of the Everton match on our last trip to Merseyside. However, a feature of these matches has been Newcastle getting overrun in midfield so he could elect to possibly add Anita to Perch & Cabaye in the middle with Jonas & Ben Arfa out wide, Ba or Cisse the lone striker through the middle. 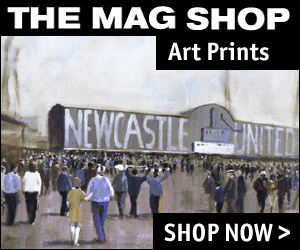 There is a massive prize at stake if Newcatle can overcome their past inhibitions, as three points would put Newcastle in sixth place and only a point off fourth – with a home match against West Ham to follow. At this stage still everything to play for but there could be an awful lot more to play for in the short-term if the team bring the three points back to Tyneside.